Whether you want to camp on a 300m vertical cliff face or ‘find yourself’ in a prehistoric canyon maze there are some pretty incredible weekend fly in, fly out microadventures to be found in Australia. We’re all about microadventures here at We Are Explorers – short, wild and punchy weekend escapes that pack the spirit of a big adventure into incredible getaways from the 9-5. We firmly believe it’s possible to satisfy your adventure craving within a stone’s throw of your front door if you look hard enough. But what happens when you REALLY want to just teleport yourself to another world altogether for two adventure-fuelled days? Whilst teleportation is still in the tinkering stage, aeroplanes remain the go-to choice for far-away travel. Flight search engines are making it mind-bogglingly easy to search for and book last minute flights deals to destinations around Australia that have epic adventures nearby. The “Everywhere” function from Skyscanner is our pick; where you can instantly see the cheapest flights from your closest airports. Perfect for those spontaneous weekend adventures. Think that Alice Springs is all 45-degree days, pancake flat terrain and red dust as far as the eye can see? You couldn’t be more wrong: Alice Springs is a mountain biker’s paradise. A town where the weather is perfect, the trails are a stone’s throw away and the landscape is staggeringly beautiful. The best time to visit is during Winter, and you’ll find a seemingly endless supply of single track to explore (the Alice Springs Mountain Bike Trails network includes 28km’s of professionally, handmade single track, so don’t forget to pick up your copy on arrival). 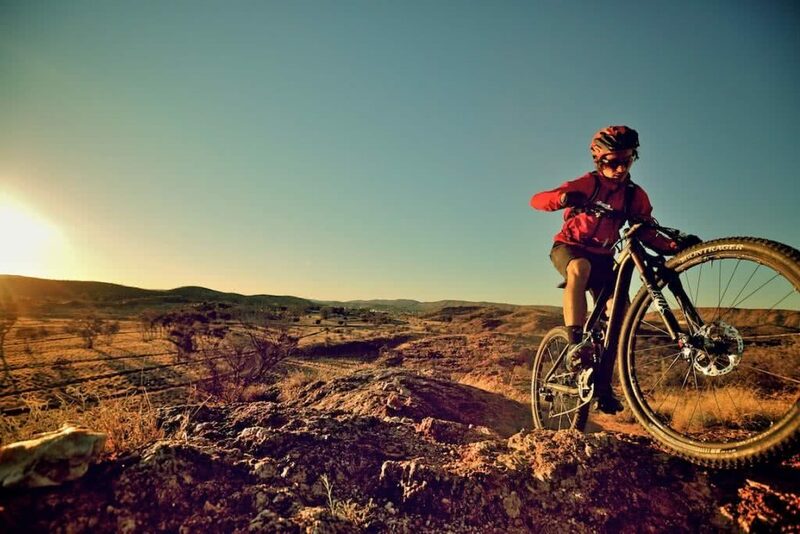 If you don’t have your own set of wheels, we recommend Outback Cycling for mountain bike hire from the city centre; they’ll equip you with everything you need to get the most out of your Central Australia adventure. Very few people know that the Clarence River (and its adjoining river systems: the Mann and Nymboida) is the longest whitewater river in Australia. It’s a wild river in it’s truest form and a microadventurer’s dream-land. At 195km long and with 8 mapped sections to pick from, there is something for everyone along this its course. From Grade 4 rapids at aptly names junctures such as Demolition Derby, Tombstone and New Zealand Falls, through to flatter water suitable for SUPing and splashing around on inflatable swans with the kids. 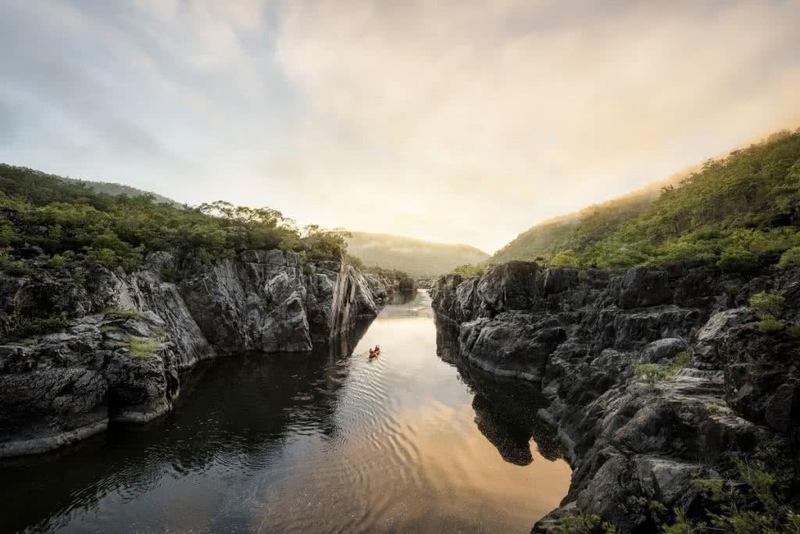 You can expect to spend multiple days paddling and camping without seeing another soul (other than hopping fish and the occasional platypus). Contact Nymboida Canoe Centre to book in an adventure here, they’re a wonderful team who’ll arrange everything including equipment hire, accommodation and transfers. Like an adventurous cocktail, you can slurp in the Peruvian hilltops, canyoning combines dashes of rock climbing, bushwalking and abseiling to give you an immense adrenaline rush (with possible spiritual revelations). The aim is simple: follow a river, stream or tributary that cuts its way through the mountains. 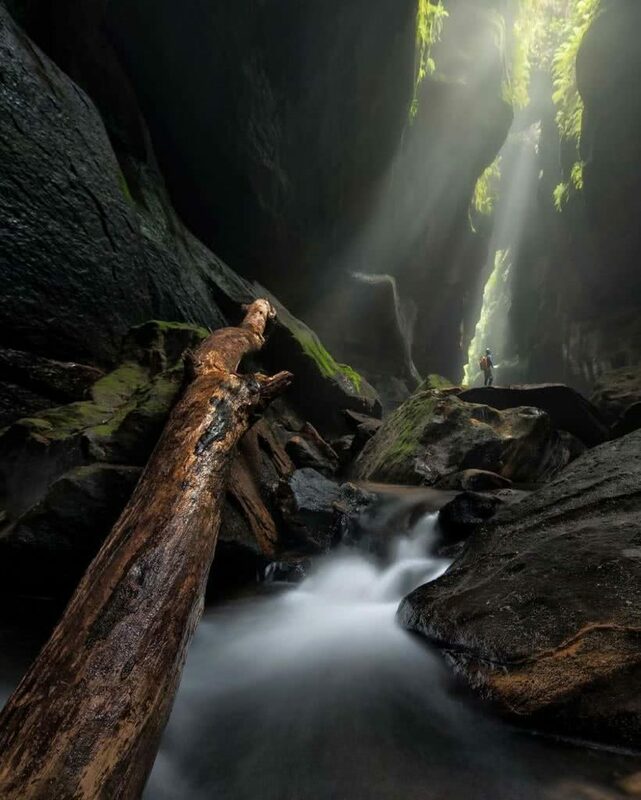 However, unlike a bushwalk down by a peaceful creek you will be scrambling, climbing, sliding, jumping and rappelling down waterfalls and navigating through steep ravines. With over 100 unique and magical canyons to choose from, there is something for everyone willing to step foot into this vast network, much like the pioneering explorers of yesteryear. We recommend contacting BMAC who will create an unforgettable nature encounter for you. 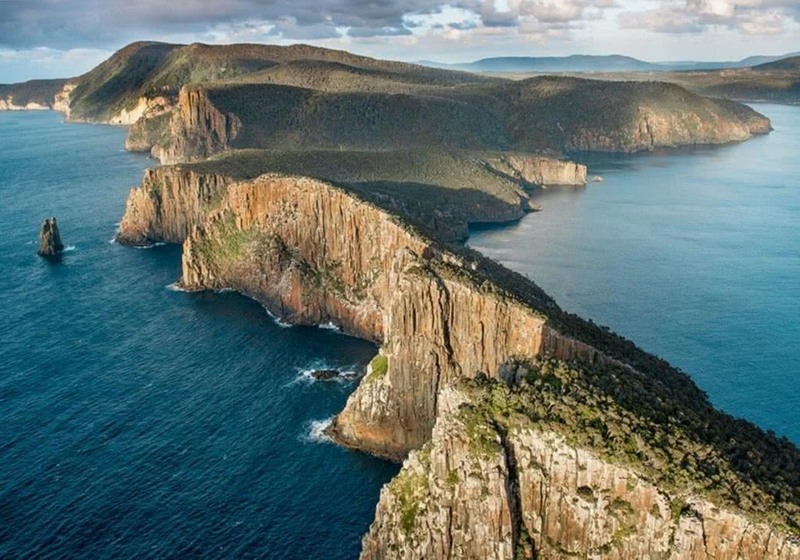 Only recently opened to the general public, the 46km Three Capes Track is an other-worldly four day/ three-night hike through some of the most remote and incredibly beautiful wilderness in the world. Surrounded by 300-metre sea cliffs and with views stretching down to Antarctica, it’s a microadventure that’ll have you feeling as if you’ve been on an epic adventure to a faraway land. Only 48 walkers are allowed on the track each day, so you’ll need to book well ahead for this one to avoid being a disappointed rambler. Caves, beaches, mountain tops, rivers, islands….there are plenty of alternative places to pitch up and call home for the night in Australia. Sleeping on a vertical cliff face in a gorge suspended hundreds of metres above terra firma has got to be up there. A few hours drive from Melbourne and you can experience this. 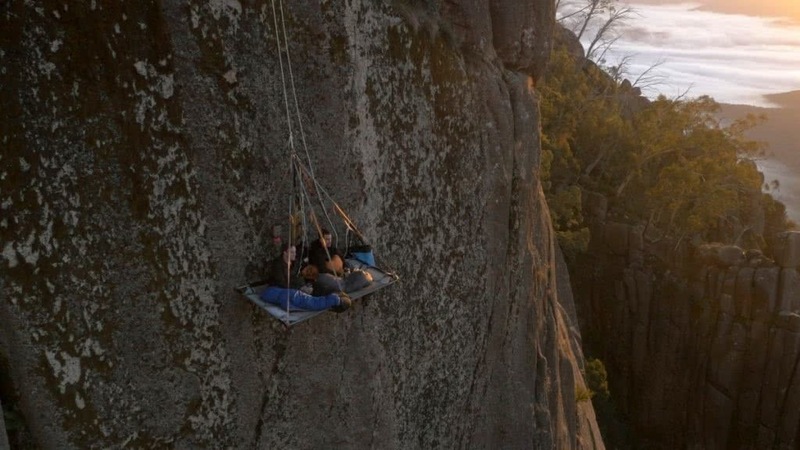 It’s the country’s first and the world’s highest commercial portaledge cliff camping experience. Enjoy a dinner in your new digs under a blanket of stars, and after a sunrise breakfast abseil 300m down to the valley fall. Unless you’re a professional cleaner of skyscraper windows, this is probably a weekend that’ll balance nerves with wonder from what is probably Australia’s most unique viewing platform. To book this in, contact our friends over at Unleashed Unlimited and they’ll sort you out a treat. Who doesn’t enjoy booming head-first through Grade 3 rapids in a tropical rainforest? With half or full day trips available, it’s is the only place in Australia you can do a White Water boarding tour. If you’ve ever wondered what it’s like to be inside a washing machine, then this trip will probably satisfy that (odd) curiosity. Although this is definitely safe. And the views are way better. 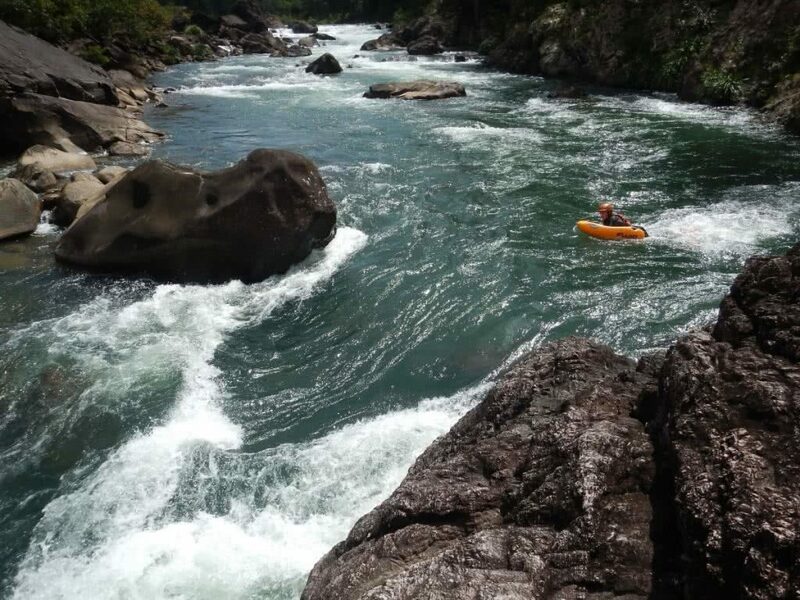 To find out more, get in touch with Rapid Boarders, run by Leigh and Jada-Lee, a coupla awesome whitewater revellers. Having been invented only 20 years ago, the concept of Snuba is pretty foreign to most. Pt Noarlunga is the only place you can chuck a hose in your mouth, dive deep and kick it under water, whilst an air tank floats above supplying you with oxygen. 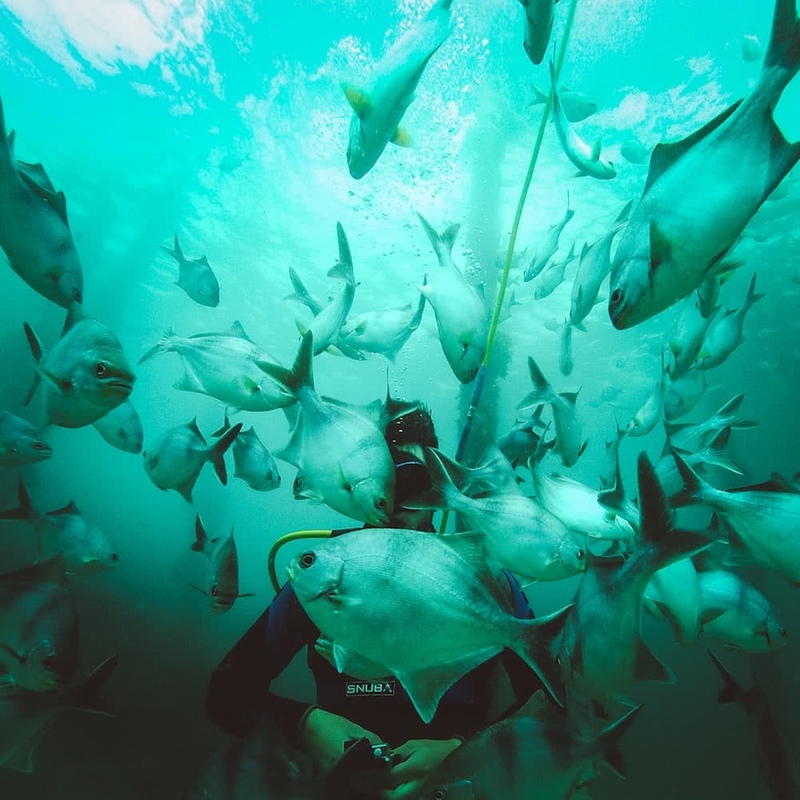 In the guided tour you’ll swim roughly five-to-six metres deep alongside a multi-coloured reef, feeding schools of fish that swarm around you. Long finned pike, old wives, common bullseye, silver drummer and zebra fish will poke out to say g’day during your time underwater. Contact Port Noarlunga Snuba for more information on booking in this unique adventure. This piece was produced in partnership with Skyscanner.